Resembling a mini cocktail shaker, the Juicy Shaker has a unique packaging. 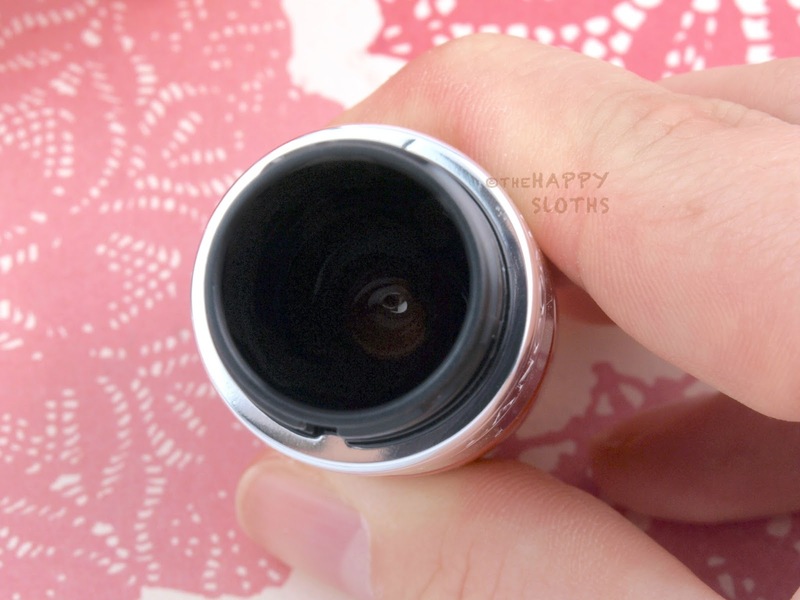 Aside from the cute design of the tube, the applicator is very unusual. Shaped like a tapered dome, it is a soft and cushiony sponge with a flocked surface (like that of your typical doe-foot applicator). The applicator absorbs just the right amount of product and interestingly, it doesn't sit drenched in the actual lip oil. The Juicy Shaker tube has a reservoir on the inside, with only a few holes that allow the product to reach the cushion applicator. So when you shake to mix the formulation (there are two steel balls inside that help you mix), things don't get too messy. The packaging of the Juicy Shakers is definitely the first of its kind, as far as I know. 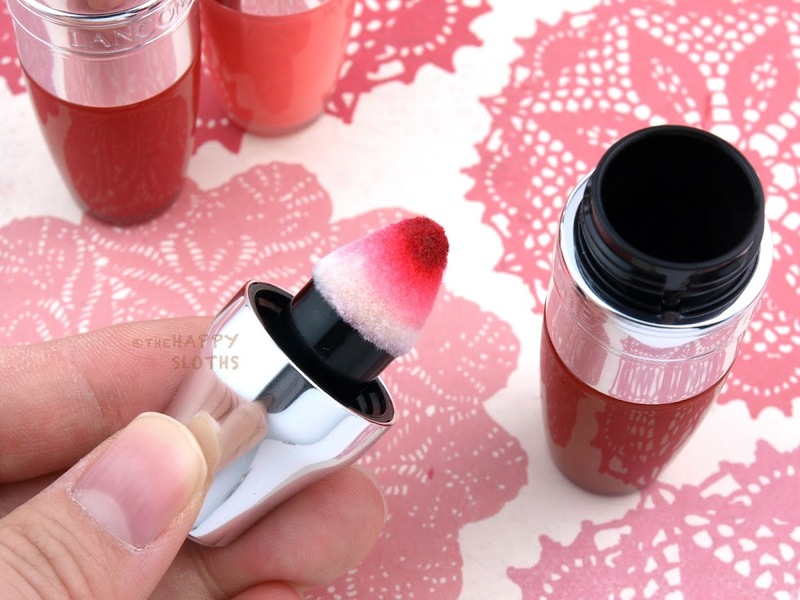 It's honestly super adorable and the cushion applicator feels soft and pillowy on the lips. Infused with oils of peach seed, sweet almond, cranberry, and muscat rose, the Lancome Juicy Shakers have a bi-phase formulation that needs to be mixed before applying. From all the advertisement campaigns for this product, it seems that the bi-phase separates easily but in reality, the product needs to sit undisturbed for at least a couple of days before you would actually see the complete separation of the two layers. You will still need to shake these a bit before each use but you really don't need to shake all that vigorously. Available in 11 different shades, the Juicy Shakers each have its unique scent and I'm not joking! "Freedom of Peach" smells like peach and "Cherry Symphony" smells like cherries! 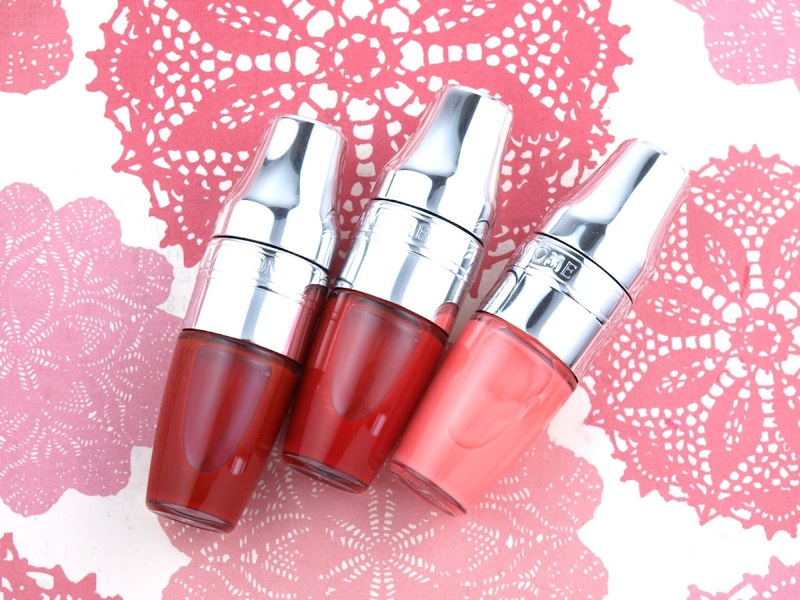 In terms of formulation, these are incredibly moisturizing, lightweight, and comfortable on the lips. 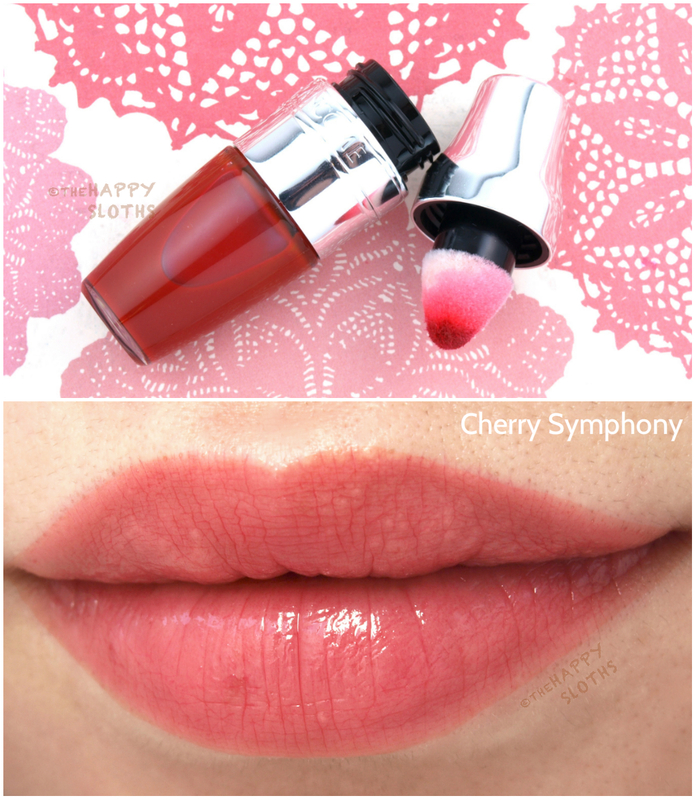 The oils in the product absorb readily and the lips are left with a natural sheen. I was slightly disappointed by the sheer formulation (with the three shades that I have here). The colors all look natural and pretty but I just got the impression that these were fairly pigmented from all the ad images. With that said, the translucent tint makes these low-maintenance and easy-to-apply. My only other critique of the formulation is the short wear time. The sheen fades away in just a couple of hours and once the sheen is gone, the moisture goes along with it. The product isn't drying by any means, but the hydration it provides just doesn't last as long as I'd like. Cherry Symphony: This is a cherry-scented sheer red. 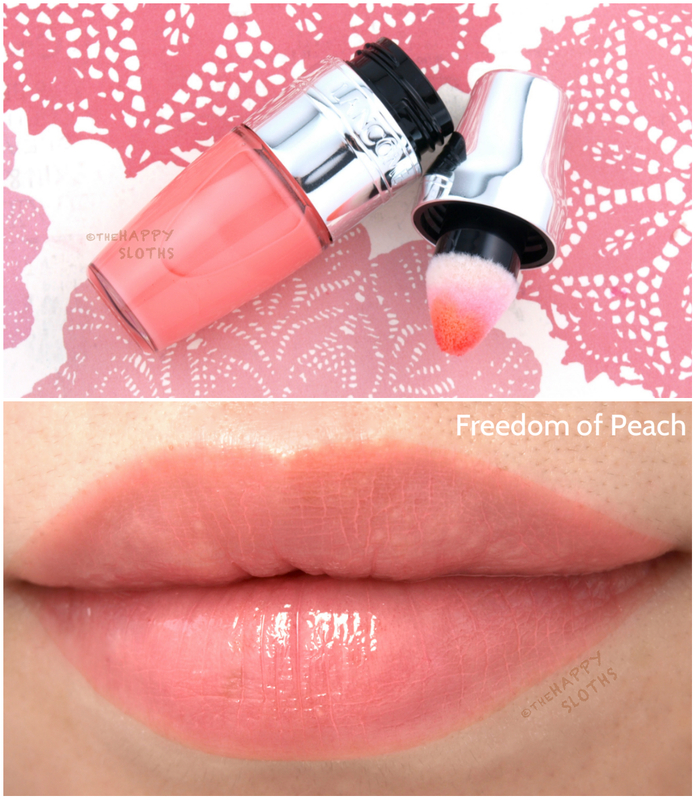 Freedom of Peach: Soft peach pink with a sweet peach scent. 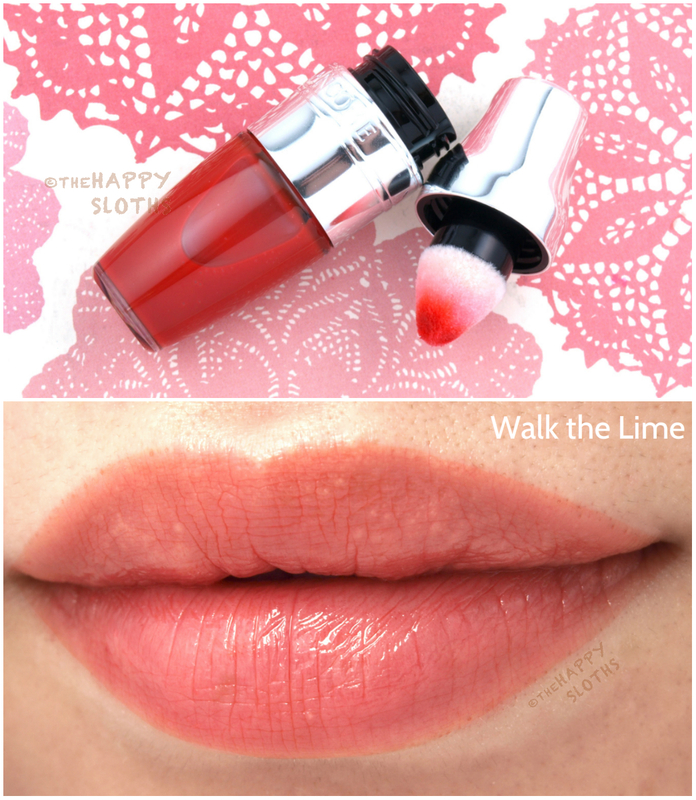 Walk the Lime: Sheer orange-red with a very subtle citrus scent. It's also worth noting that these are kind of similar to the Clinique Pop Oils that I've recently reviewed. If you are interested in those, check out my post here. 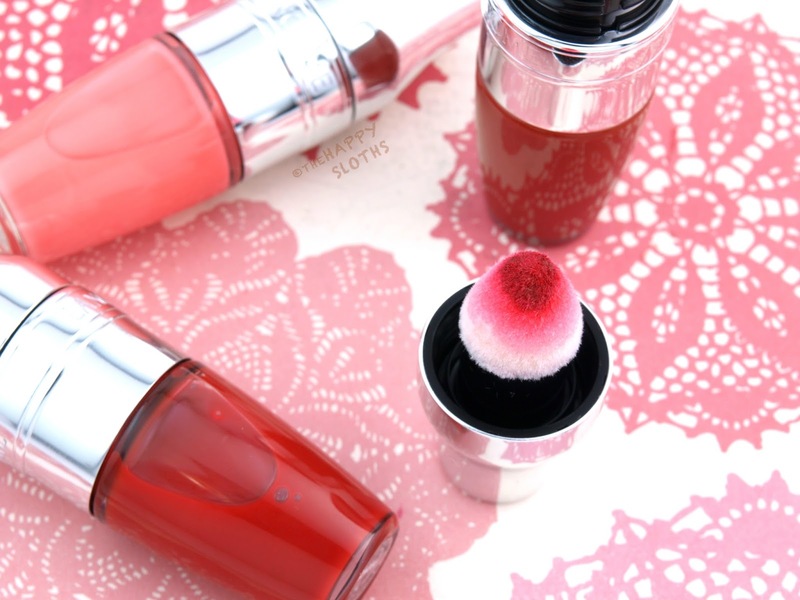 Lancome Juicy Shaker in "Cherry Symphony"
Lancome Juicy Shaker in "Freedom of Peach"
Lancome Juicy Shaker in "Walk the Lime"
These are so cute and fun! I love that they smell like their name suggests and the formulation feels so comfortable on the lips. These aren't as pigmented or long-lasting as I had hoped but the pillowy cushion applicator alone would have won me over! 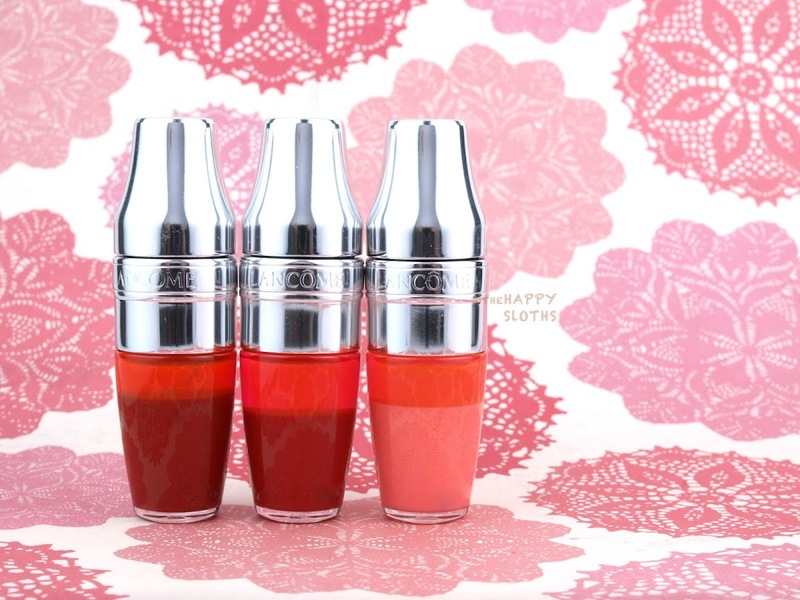 The Juicy Shakers are coming soon in stores and online at Lancome, Sephora, The Bay, Nordstrom, and Holt Renfrew.